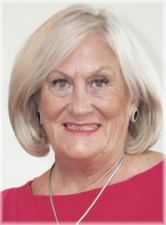 SHEEHAN, Theresa (nee SHARKEY) - With great sadness we advise of the passing of Terry Sheehan on July 5, 2018 in Toronto General Hospital, Toronto, Ontario, Canada. She is survived by her husband of 46 years Thomas and her children, Michael and Catherine. She passed peacefully into God's care in the company of her family, nieces, Pauline Grist, Catherine Anne Morrison and cousin Kathleen. 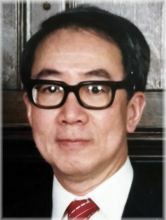 YAO, Dr. James K.Y. - Dr. James K.Y. Yao, renowned cardiovascular and thoracic surgeon at St. Michael's Hospital and assistant professor at the University of Toronto, passed away peacefully at home on Thursday, July 5, 2018. 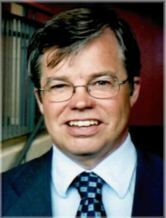 He will be dearly missed by his wife and best friend Wanda, and by his ten children: Andrew (Elena); Jennifer (Byron); Emily (Roger); Christopher; Sean (Hui Ling); Sarah (Evan); Gregory; Timothy (Alexandra); Matthew (Meghan), and Courtney. Survived by his sisters Sue and Connie, his fourteen grandchildren, ten nieces and nephews, and countless friends and colleagues. Predeceased by Candace Yao, mother of his children. It is with great sadness that we announce the sudden passing of Helmut Barta. His wife Mitz predeceases him. Helmut is survived by his 3 sons, Rick, Robert (Micheline) and Ray (Barbara). Grandfather of Lisa, Deklan, Haydon, Biya, Kevin and Vanessa. Great-grandfather to Ruby, Scarlett and Oscar. 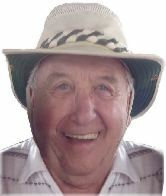 BULUCON, William George "Bill" - With great sadness we announce the passing of William. He passed away peacefully with his family by his side on July 5, 2018. Born in Toronto of Greek heritage on May 17, 1938, son of late George and Helen (Scopis) Bulucon. Peacefully passed away at Mt. Sinai Hospital. Predeceased by mother Minnie (Fremes) Kurtz, father Herb Kurtz and sister Phyllis (Kurtz) Fine (Harold). Loving mother to Michael Iscove (Norma Quinn) and Charles Iscove (Janet Harrison). Will be deeply missed by grandson Phillip Iscove, nieces Elizabeth Fine (James Oppenheim), Jacky Fine (Jamie Gold) and their children Toby and Sophie Gold, cousin Joanie Kaufman, and Gayle Robin. COUTNEY, Romeo Louis - Toronto Following a brief illness, Romeo passed away July 5, 2018, age 91. Born in Lac La Biche, Alberta, he grew up playing hockey, loved to dance and as a natural cook prepared meals for their large family of nine. He met his beautiful wife of 68 years, Katherine Stelfox of Rocky Mountain House, married and raised five children in Toronto. Sales, business start-ups and cooking were passions throughout Dad's life. CRAWFORD, Paul William - Suddenly, at Stevenson Memorial Hospital, Alliston, on Thursday, July 5, 2018, Paul Crawford, in his 78th year. Beloved husband of the late Gloria (King). On July 5, 2018 at Eatonville Care Centre, Etobicoke. Loving father of Rick Davidson and Michele Taylor. Dear grandfather of Ryan and Richard. Fondly remembered by his sister Laurie and her son Phillip J., Evelyn and by all of his family and friends. SORENSEN, Brookie (Maude Louise) (nee BROOKS) - Lieut. Nursing Sister M L Brooks Passed peacefully at Weston Terrace on Thursday, July 5, 2018 in her 104th year. Beloved wife of the late Christian B. Sorensen (1985), loving Mother of Barbara Ann (Italo), Peter (Erna), Jane (Stan) and Susan. O'HEARN, Gerard "Gerry" Frederick - Passed away peacefully at Brampton Civic Hospital on July 4, 2018 at the age of 68. Gerry lived an honourable, successful and fulfilling life; loving husband to Bonnie for 43 years. 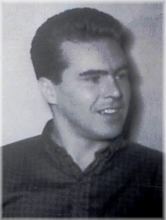 Son of Fred and Audrey O'Hearn, loyal brother to Vince (Laura), Nick, Steve (Hedy) and Fred (Ehretia). THORNTON, Edward Douglas - Peacefully at his home on Wednesday, July 4, 2018 at the age of 69. Loving son of Audrey Thornton and the late Walter Thornton. Dear brother of Robert (Maria) Thornton and their daughter Amanda. Lovingly remembered by his grandchildren Avery and Collin. SMYER, Marie (nee PERNOKIS) - Peacefully at the Hellenic Home on Wednesday, July 4, 2018 at the age of 94. Dearly beloved wife of the late Gus. Devoted mother of Stanley and Elaine. WEISHUHN, Marion - It is with great sadness our family announces the passing of our beloved mother Marion at Humber River Hospital on July 4, 2018 in her 88th year. CARCONE, Orazia (Graziella) - Peacefully at Downsview Long Term Extendicare in her 101st year, on Wednesday, July 4, 2018. Beloved wife of the late Felice. Di PIETRO, Vincenzo - Peacefully passed away on Wednesday, July 4, 2018, surrounded by his family. Beloved husband to Nina for 55 years. Loving father to Maria (Gary) and Frances (Steve). 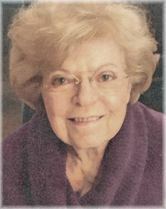 ELLIOTT, Nora Marion "Min" (nee JARRETT) - Min Elliott, 86, loved life and lived it to the fullest. Predeceased by her loving husband John, they shared in the joy of 5 children, Liz "Beth", Barb, Tom, Rob and Peter, their spouses, 16 grandchildren and 4¾ great-grandchildren. Min was predeceased by older siblings Betty and Al and is survived by brother Doug. KILLER, Kenneth Edwin "Ken" - Veteran RCAF Ken, of Thornhill, passed away peacefully with his family by his side at Mackenzie Health Hospital in Richmond Hill on Wednesday, July 4, 2018, in his 96th year. Dearly beloved husband of Audrey for 50 years. Loving Dad of Kim Kieller (Fred Strangway), Kevin (Carol) Killer and Lisa (Duane) Martens. Proud Pappa of Matthew, Christian, Brandon, Taylor and Katryna. Step-Grandfather of Vicki, Jackie, Michelle, Amy and Tim. O'LEARY, Patrick George - Peacefully, at Stevenson Memorial Hospital, Alliston, on Wednesday, July 4, 2018. 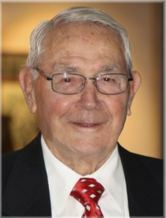 Pat O'Leary, in his 92nd year, beloved husband of the late Madelyn (Wilson). GIANAKOPOULOS, Vasilios "Bill" - Loving husband to the late Stamatiki "Mata" Gianakopoulos, father and papou, passed away peacefully in his sleep on Wednesday, July 4, 2018. 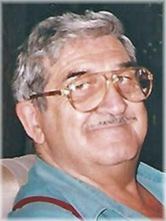 He leaves behind his loving children Patricia Mantzoris and her husband John, George Gianakopoulos (Cathy Missios), Anastasia Gianakopoulos (John Varlas) and also his dear grandchildren, Victoria and Emily Gianakopoulos, Panayiotis, Tina and Michaela Varlas, Kristin and Kate Mantzoris.